Written by CMOS Bulletin SCMO on December 28, 2017 . Posted in Air Quality, Arctic, What's Current. 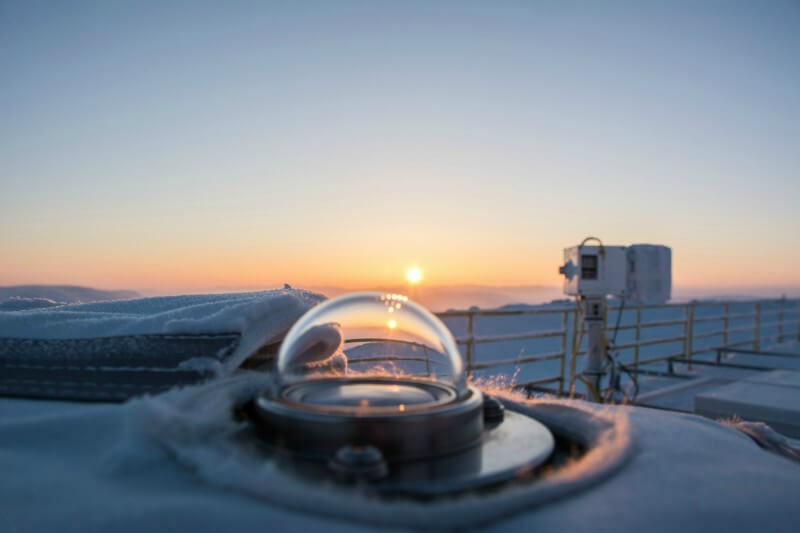 PEARL researchers open the dome of a sun tracking instrument on the roof of the Ridge Lab to perform maintenance. 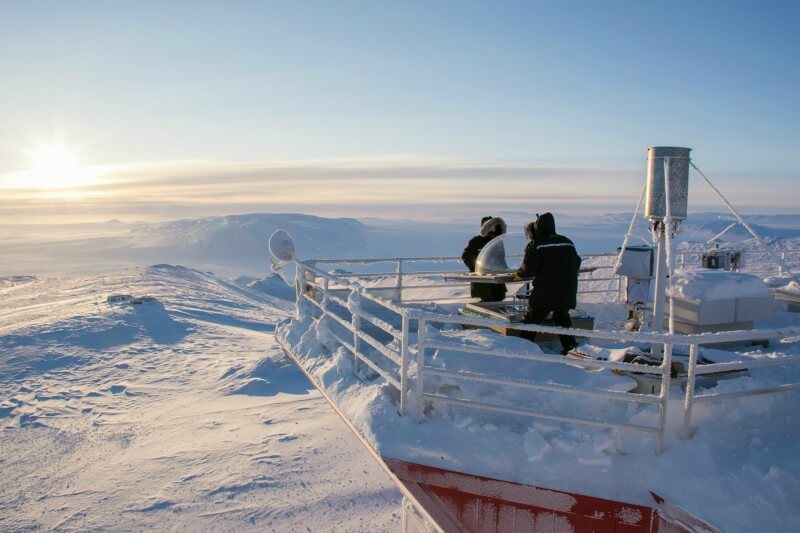 The dome of the PEARL Ridge Lab Brewer spectrophotometer, which measures ozone, in the foreground and the Sun Photo Spectrometer (SPS) instrument in the background on the PEARL Ridge Lab roof. 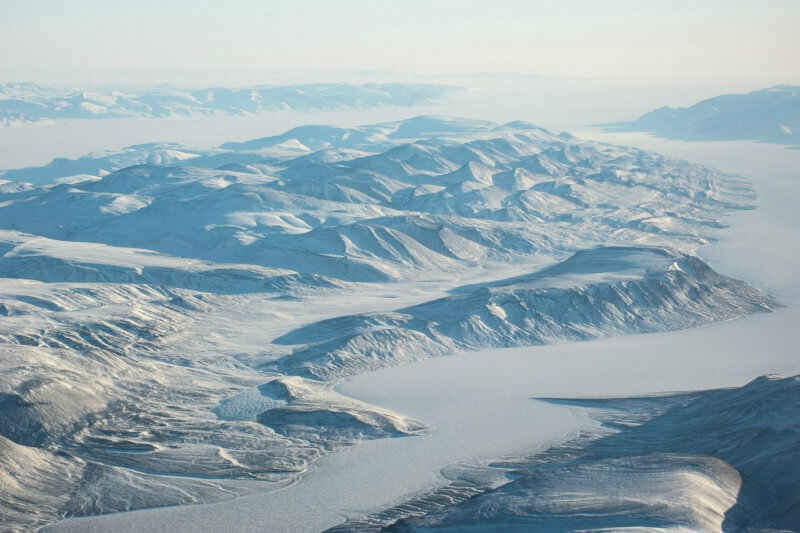 High Arctic landscape between Eureka and Resolute, Nunavut. 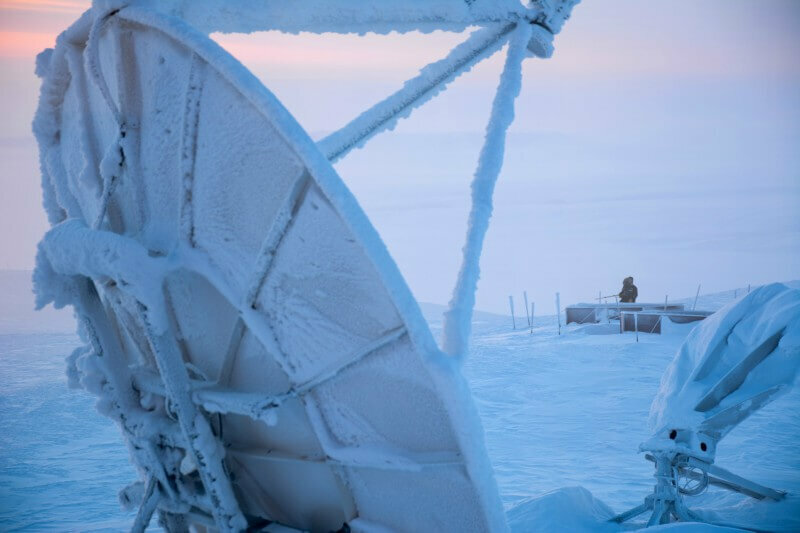 Researcher checks up on the satellite dishes outside the PEARL Ridge Lab. 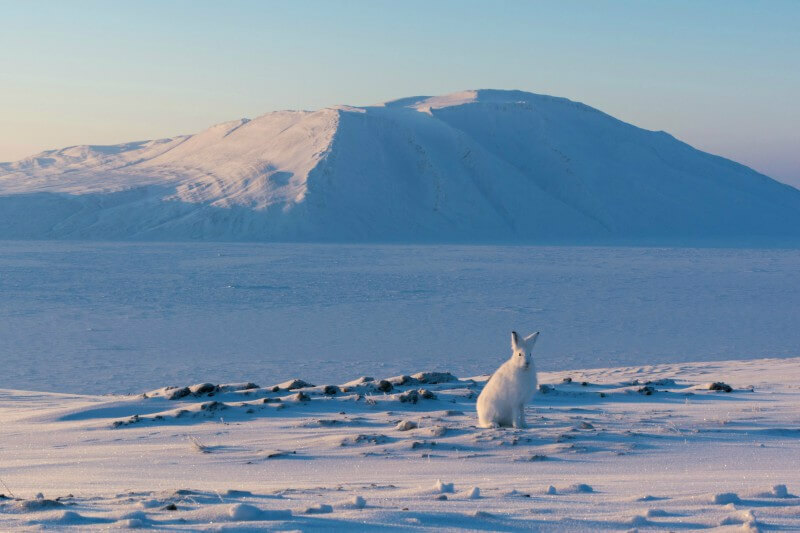 Arctic Hare along Slidre Fjord, near Eureka, Nunavut. 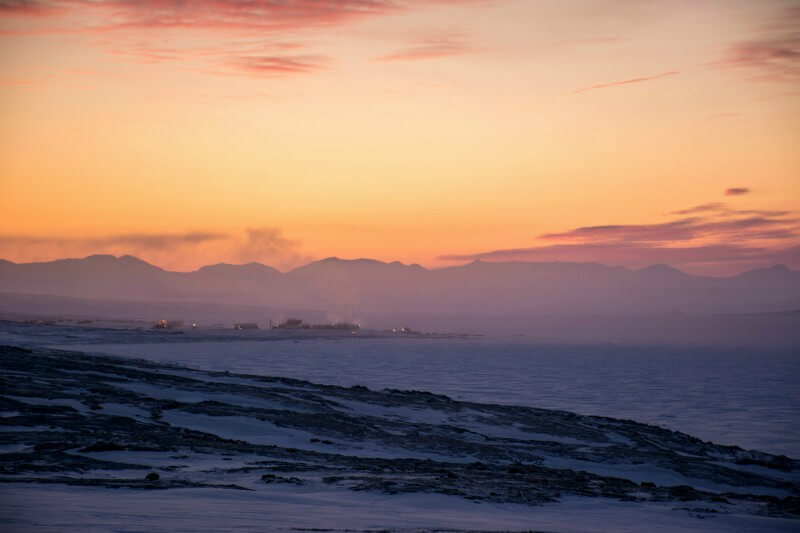 PEARL researcher walks north from the Ridge Lab during a break from a busy fieldwork campaign. 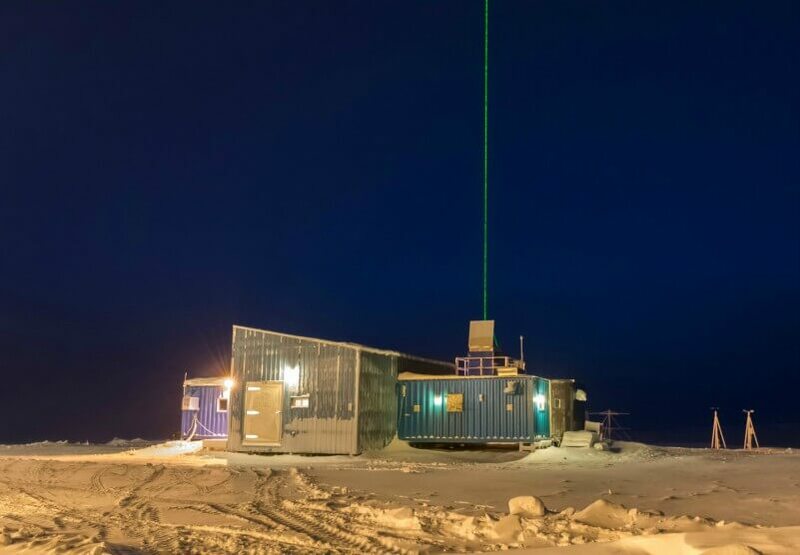 The CANDAC Raman Lidar (CRL) at the Zero-altitude PEARL Auxiliary Laboratory (0PAL) taking nighttime measurements of the high Arctic atmosphere (e.g. temperature, H2O). 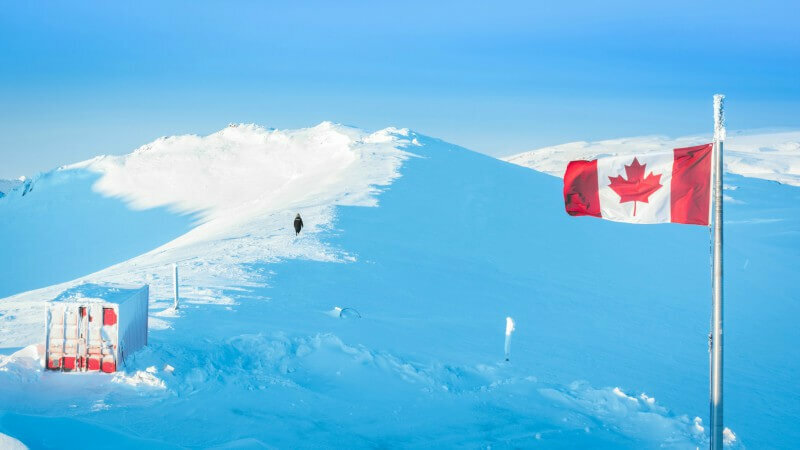 For more details of the atmospheric and climate monitoring work conducted at PEARL, see the recent CMOS Bulletin story “PEARL at the Pole: An Update on Canada’s Polar Environment Atmospheric Research Laboratory”. 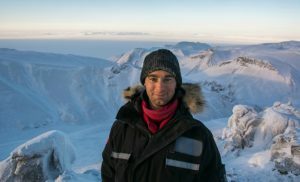 Dan Weaver is a PhD candidate at the University of Toronto researching water vapour measurement techniques at PEARL. He is also an educator and photographer. Highlights of his photography can be found on his website, www.danweaver.ca and on Instagram, www.instagram.com/danweaver_ca.